For the project we 3D printed prosthetic hands* for 4 children who don’t have fingers but do have a functioning wrist and who would benefit from a hand like the one above, using the open source design drawings and 3D files developed by the project e-Nable for use by people with 3D printers. 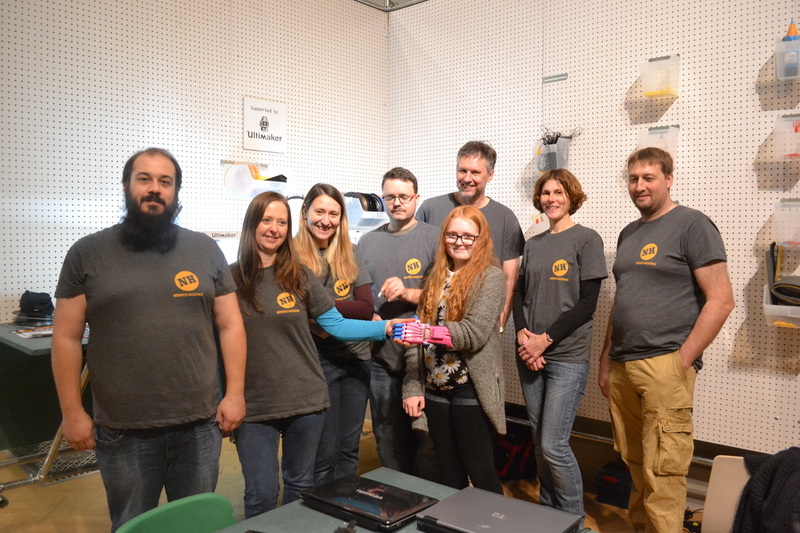 We used two Ultimaker 2 printers to complete this project and we are very grateful to Create Education for the loan of a machine which doubled our capacity to produce hand parts. 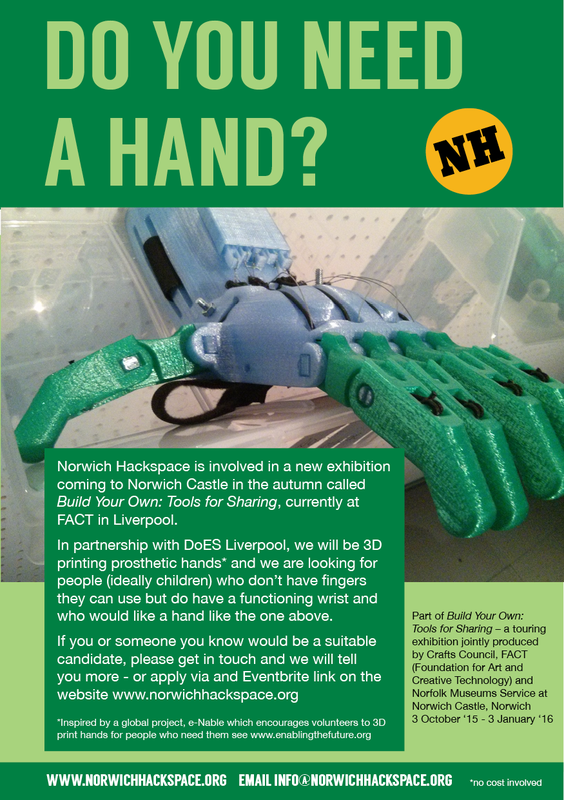 We are now hoping to help some more people with hand problems and increase our knowledge of 3D design. The four girls that we printed hands for ranged in age from 3-14 and they came to the Castle in Norwich for an measuring workshop first of all and a assembly and fitting workshop a few weeks later. You can read a full report here and see some photos here. I thought I would email you to thank you and the rest of the team for all the time and effort that went into producing Erin's hand. lessons. It's made such a difference. I think because she hasn't had anything for 13 years, it seems unbelievable to her. Medical prosthetics have always "freaked her out" (her words). One word for it - Priceless! wrote about her "New Hand". Once again we would like to thank you all for her new hand, and can you please pass on our thanks to the rest of the team.